Dr. Ramon Ostrich, Director of the PREDIMED study (Prevention with Mediterranean Diet) and member of the Internal Medicine Service of the Hospital Clínic of Barcelona, speaks about the benefits of snacking daily on pistachios. Dr. Estruch has published over 400 articles in high impact journals, such as New England Journal of Medicine, JAMA, Annals of Internal Medicine, Circulation and Lancet, among others. Smart between-meal snacking curbs cravings and prevents overeating at mealtimes. Crunch with a serving of pistachios (49 nuts) at 10 am or 2 pm, your body will be fueled with protein, fiber, and healthy fats. And smart people, like doctors, say people who eat more nuts live healthier. They benefit from weight management, protection against diabetes, better nutrition and a healthier heart. So be smart and eat pistachios. FRESNO, CA – January 23, 2018 — Three recent studies are giving pistachio lovers new reasons to reach for a handful of nuts while at work, and in particular, pistachios. Adding to an increasing volume of research around the health benefits of pistachios, one study and a national survey in the U.S. suggest a snack of pistachios might boost brain power and concentration levels at work. And for anyone reluctant to add nut calories to their daily routine, a French study showed that adding a daily pistachio snack to an existing diet is not likely to cause weight gain, yet it could add important nutrients you might be missing now. 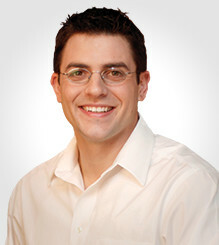 Dr. Mike Roussell is a nutrition expert and advisor to Men’s Health and SELF magazines.